Foliage is dark green to silvery grey. 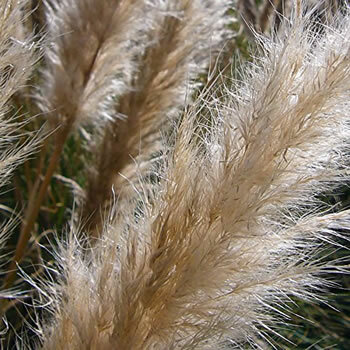 Silky cream white plumes are held upright. Hardy plant suited to full sun or partial shade. Compact variety. Grows to 1.5 metres high. Drought resistant. Grow as a feature in a patio pot or plant in the garden. Trim back old foliage in spring. Very Hardy.